The Billabong High EPS International School established at the former EPS School building compound, is a joint collaboration between Kangaroo Kids Education Ltd of India and EPS School. 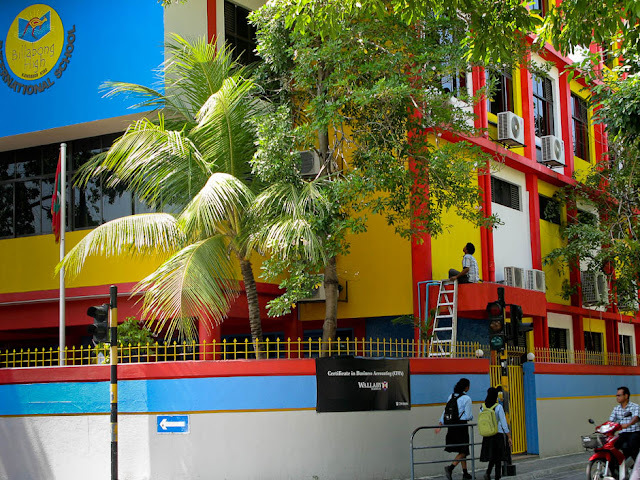 It is the second international school to be opened in Maldives, after Lalé International School at Hulhumalé. Colorful school, don't you think? nice photo, very clear. was it a canon?